Is this Zynga’s next cash cow? It looks like FarmVille 2.0 is already in beta testing under the name ‘Big Harvest’ in the Philippines, a tipster tells us. As you can see from the screenshot below, the game is way more three-dimensional, the crops are really lush and the graphics are just of a different quality level. There are several tweaks to the game play. Crops that are harvested can be turned into feed. Animals jump around after being fed. Players can take the milk and eggs from their animals and make pies. Zynga declined to comment. “We don’t comment on what we may or may not be working on. What we can tell you is that we’re always looking for ways to bring players the best experience by listening to their feedback and continuously innovating on our games,” the company said in a statement. 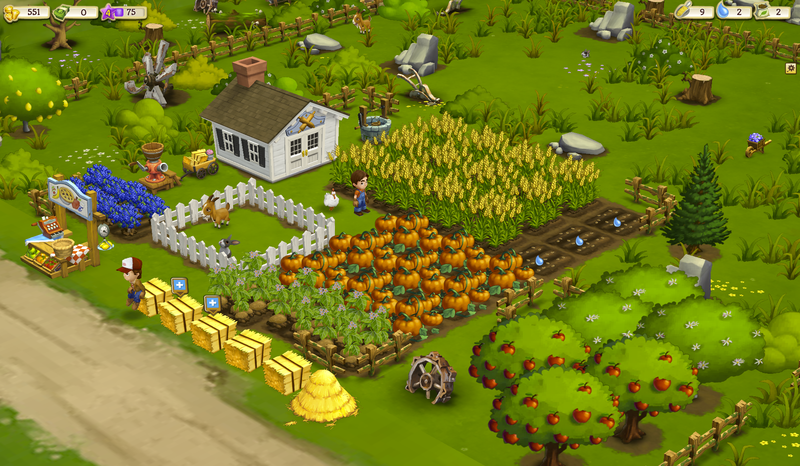 Zynga has to be super, crazy careful with FarmVille. This game is the company’s crown jewel and still makes more money than any other Zynga game. Last quarter, FarmVille still produced 29 percent of Zynga’s online game revenue, according to an SEC filing this week. That’s $84.9 million in one quarter alone from Farmville. Tinkering with the company’s biggest home run is a huge deal. There are risks to sequels so Zynga needs to pull this launch off perfectly. In the same SEC filing this week, Zynga revealed that Mafia Wars’ revenue declined by $26.5 million in the first quarter compared to the year before. This was partly because the game’s sequel Mafia Wars 2 apparently drew many of the “whales” (the people who actually pay a lot of money in these games) away from the original. But Mafia Wars 2 didn’t ended up retaining them. However, if they are successful, Zynga will prove that it has truly enduring franchises. Earlier today, I wrote about another freemium gaming company called Nexon that has made some of its earlier hits produce more than $1 billion in revenue over several years. One of its earlier hits, Dungeon Fighter, has made more than $2 billion since it launched in 2005. This is the big test to see if Zynga can do the same.